When you’re around a metre high and insist on doing everything by yourself, many of the problems with the grown-up world can send you into epic meltdowns. Any gadget that helps make that world more accessible will make you decidedly less tantrum-y. Prince Lionheart’s tap extender is one of those brilliant gadgets. We won’t guarantee fewer tantrums, but we’ll bet more harmonious days are in store. 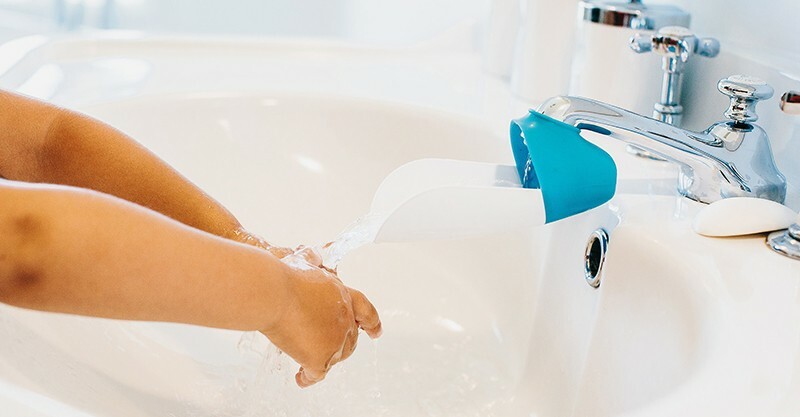 Available in four bright colours, the tap extender (or faucet extender for our American cousins) is wonderfully simple: it snaps neatly under the tap and a channel carries water closer to grubby little hands, so toddlers and preschoolers can rinse away all on their own. There’s nothing like a nifty gadget to encourage kids to do the things they might not want to do (especially when you’re asking them to do it). We’re just wondering if Prince Lionheart has devised anything to make toothbrushing easier. The Prince Lionheart tap extender is available locally at Babies R Us for $14.99.